No one expected them to be here. Certainly not this soon. But by the looks of things, they are. In the course of last year Marussia touched both ends of F1's extremes. To begin with the hardy and popular bunch of racers continued its gradual creep towards midfield pace, adapting well to the new rules and benefiting from a Ferrari power unit. And Monaco of course was the zenith. In Jules Bianchi's hands it looked a Q2 contender only for a differential problem to strike in qualifying. But come the race - despite a five second penalty as well as unnecessarily adding five seconds to his solitary pit stop under the safety car - a feisty drive from the undeterred Frenchman was awarded with ninth place, thus breaking the team's points duck. Yes Jules benefited from attrition, but as outlined he was not without his share of bad luck that weekend. And the good stuff wasn't confined to Monaco. In Silverstone's qualifying the team's smart thinking in changing conditions combined with excellent laps from both drivers got the two Marussias to P12 and P13 in the final order, while in similar conditions in Spa's qualifying Bianchi again got into Q2. While Hungary's qualifying was another high point, Bianchi barging Kimi Raikkonen of all people out in Q1 with a stunning lap at the last, and this time no one could blame the weather. But things got more difficult as the year went on. The lack of development budget - to the point that parts that simulation suggested would improve the car were not made simply because the team couldn't afford to manufacture them - became more clear as Caterham crept up on lap time. Marussia was not helped by the mid-year FRIC ban either, partly in that its was reckoned to be one of the better systems but also that it had the little resource to aid adaptation. Then the team experienced the deepest valley of Bianchi's harrowing accident at Suzuka. We discovered then that the team was running on empty, the owners seemingly keeping the thing going mainly for its home race - the round that followed in Russia - after which the bottom fell out. With money owed left, right and centre, not least to Ferrari for its engine bill, the team didn't appear in the last three rounds and entered administration - not alone demonstrating that the costs just for existing in F1 right now apparently outstrip the ability of the teams in the midfield and back to raise revenue. No one expected to hear much from the team again. And yet, when all were testing in Jerez this year we found out that the operation had in fact been twitching. It was in the process of arranging a CVA (Company Voluntary Agreement) with its creditors, and that done it came out of administration later that month and appeared on the official FIA entry list for 2015 as 'Manor Marussia', re-establishing its pre-F1 name (it's likely not coincidence that it's keeping the Marussia title too, as it avoids arguments and possible votes over it being a new entry as well as over getting previous prize money - it happened with 'BMW Sauber' both when the German marque entered F1 and left it!) as well as confirmed a driver in Will Stevens. Ferrari confirmed that it would be getting 2014 Scuderia engines and some speculate about technical help from McLaren too. The team appeared to experience a setback when the F1 Strategy Group did not agree to it running a 2014 car this season, but undeterred it continued, with it believed that the team aims to use a modified interim car in the early rounds with a bespoke 2015 machine to follow. And while the word to begin with was that the squad was aiming for the Bahrain round to make its first appearance, as teams are permitted to miss up to three rounds without sanction, now Manor has stated its aim of being in Melbourne for the very get-go. Just before the outfit came out of administration the administrator spoke of 'new investment and a continuity of respected management'. And latterly we discovered that the new investment has come from Stephen Fitzpatrick, the boss of energy firm Ovo. Visiting last year's Singapore Grand Prix as a spectator he resolved to make good on his 'long time ambition to own an F1 team'. He admitted that the Marussia/Manor situation looked impossible when he first opened up the books, but together with Graeme Lowdon they diligently worked through the creditors and suppliers to get the CVA agreed, as well as got FIA and FOM onside and engine and design contracts in place. The freight is due to be despatched to Melbourne on schedule. A crash test awaits this week. It all seems an astonishing effort. No wonder the team described it as '24/7'. Former Sainsbury's boss Justin King - once touted as a Bernie successor - also is to be involved but not as an investor, rather as interim team chairman. And why does this all matter? Well, not only are few, possibly any, teams in the paddock as popular, but also the sport could do with all the teams it can get right now. Especially one such as Manor which will race as long as it can, as racing is its raison d'etre. Plus as Pat Symonds pointed out all teams have to start somewhere. He was part of a Toleman team with 20 staff in 1981; 13 years later it was winning the world title. While Fitzpatrick added the team's recent progress to the reasons for keeping the thing going: 'it seemed like too good story to let end there' he said. 'One of the things that really motivated me was how great a story it could be to figure out a way to help this team cling to survival'. Of course, the probability is that when the car does appear it won't be competitive right away, given it has had zero development time plus that with many of its previous staff snapped up by other teams it presumably will be a skeletal operation. But for now it doesn't matter. What does matter is that it has a pulse. To be there is enough. You have to hand it to Will Stevens; he's nothing if not determined. Nor is he one put off seemingly by what appear from the outside to be rather thankless situations. 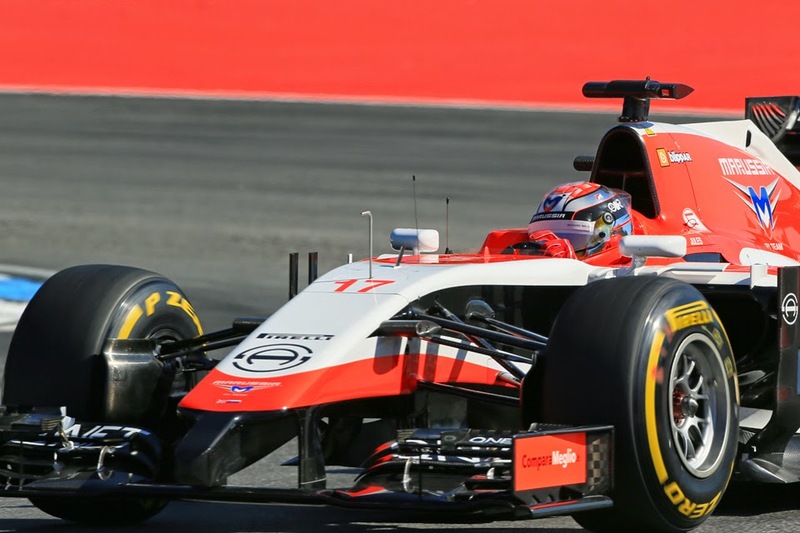 Stevens is one familiar to the Marussia/Manor team, having been its reserve driver for a time last season. 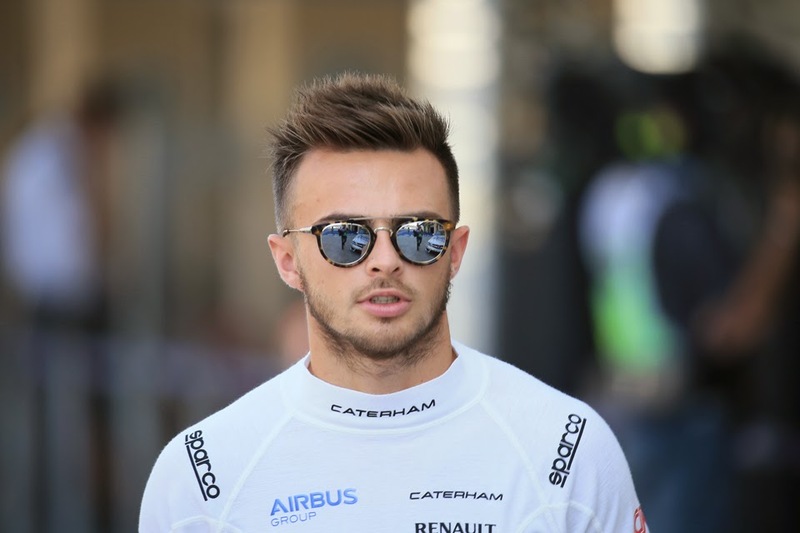 He also is one fairly familiar to the F1 crowd more widely, given he drove in the Silverstone young drivers' tests for Caterham in 2013 and 2014 then made a surprise race appearance in the same squad's dead cat bounce in last year's season-closer in Abu Dhabi. Though in a non-surprise reportedly he stumped up £500,000 for the latter privilege - presumably he comes with a financial package this year too. Nevertheless, despite being thrown in with no immediate preparation and indeed modest experience of an F1 car in that one race he by no means disgraced himself. In qualifying even with a mistake he was only around half a second off Kamui Kobayashi's best in the other Caterham, and while the pace gap was bigger in the race Stevens did better as the afternoon went on - though Fernando Alonso and Andrea Stella didn't necessarily think so. Stevens has a reasonable pedigree too, albeit one without championships in car racing nor even a top three in any table. But he's competed in Formula Renault 3.5 for the past three seasons and in that time has put in a few head-turning performances, including a couple of race wins last year. And while you may suspect that he's on a hiding to nothing in a team that presumably will be off the back, and possibly initially in a team of one, he has spoken of the importance of demonstrating that he can perform in F1 given the opportunity; that an F1 race drive is better than no F1 race drive. Given that F1 bosses' tendency to look beyond the sport's boundaries is if anything even worse than their tendency to look at the backmarkers, he may be onto something. Manor's second driver is yet to be announced. Truly a determined bunch, and the lone survivor of those six(?) teams that entered F1 a few years ago. Hopefully their perserverance will eventually be rewarded.